Bug description: Rice pudding should be taught by trainers, especially Sungshin Ironpaw but no trainer teaches it. Because of that, you can not do the Ready for Greatness quest (31302) which is a requirement for the Pandaren ways. Yes, this is happening to me too. 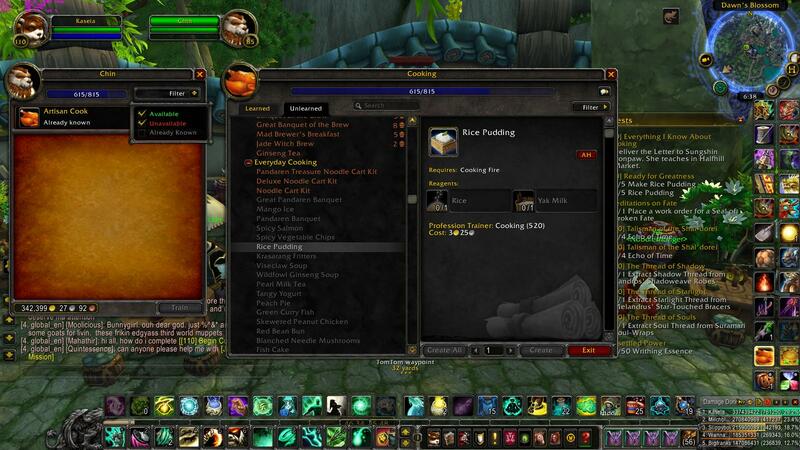 I have my cooking profession over 600 and any of the cooking trainers in Pandaria teach me their recipes. Same here I wish have more ways to get Ironpaw Tokens since this one is not working beacuse of pudding.